StudioPress has been busy this past month and has just released four new themes. 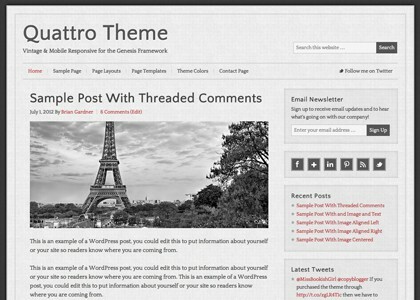 Quattro Theme: The vintage look and modern design of the mobile responsive Quattro theme sets an instantly classic tone for all of your content online. 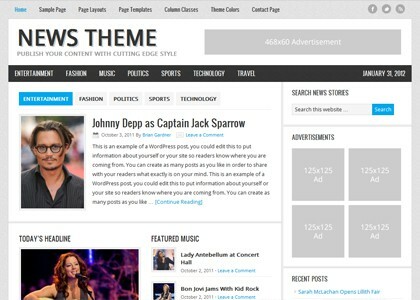 News Theme: News theme supports all of the great articles, audio and video of your content-heavy site, with eye-popping design and simple navigation. News theme keeps you on the front lines. 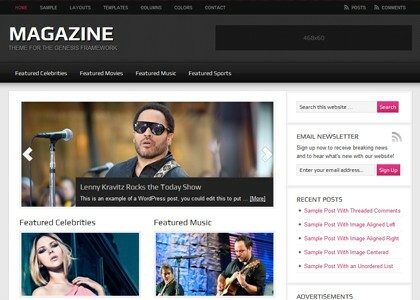 Magazine Theme: Put yourself on the front lines of online publishing with the up-to-the-minute, high-gloss look and feel of the Magazine theme. 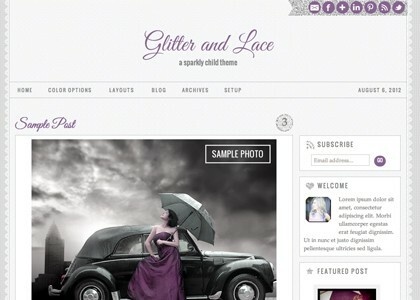 Glitter and Lace Theme: Feminine and delicate with a vintage flair, the Glitter theme was created for bloggers who want something a little different. Glitter and lace detailing provides a unique look, and offers a beautiful home for your words, photos, and even instagrams. What do you think? I love Glitter and Lace!